The Union and the state has been described. The 7th Amendment to the Constitution in 1956, 14 states and 6 Union Territories were kept. Currently, 29 states and 7 Union Territories. The salary of the President, the Vice President’s salary, the salary of the Speaker, the Governor’s salary – Supreme Court Chief Nyaydis Nyaydis pay and the salaries of High Court Chief Nyaydis Nyaydis pay and salary, the salary of the Comptroller and Auditor General – Chief Election Commissioner’s salary – the salary of Chief vigilance Commissioner -. Based on division of seats in the Rajya Sabha, India’s population is considered. Scheduled areas of the tribals and-administer the control is described. Meghalaya, Mizoram, Tripura and Assam tribals mountainous areas of the administration and control of the area has been described by the administration, is in the hands of the president. Under the project, the Centre and the States, relations have been described. The secret languages are described in Schedule 14 to the Constitution Rajbhashaaen Mull said. Sindhi language was added to the 15th rule. Under the 21 th Amendment to the Constitution of 1967 was added. Amendment 71 1992 – Nepali, Kokanni, Manipuri. Amendment 92 2003 – Santali, Dogri, Mathli, Bodo. Currently includes 22 languages. 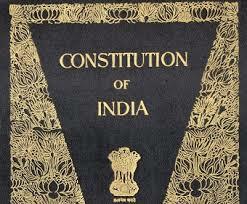 Schedule was added in 1985 to the 52 th Constitution Amendment. The tenure of Prime Minister Rajiv Gandhi. The defection laws prohibit conversion was added. Schedule 74 to the constitutional amendment was added in 1992. It has given constitutional status to local urban governance. The Part 9 (a) under Article 243 P to Z of 18 laws and 18 work (subject) have been added.